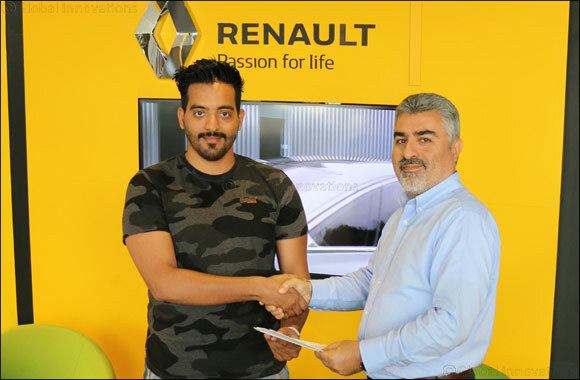 Renault Al Babtain Congratulates Lucky Winner of ‘Trip to Paris' Campaign! Kuwait, 12 September 2018: In conclusion to its summer campaign and in collaboration with FIFA World Cup Champion - France, Abdulmohsen Abdulaziz Al Babtain Co., the authorized agent of Renault in the State of Kuwait recently congratulated and presented Mr. Khalid Hamoud Saoud Al Subaiei with a paid accommodation and tickets to Paris to enjoy the wonderful sights France’s capital has to offer! The seasonal campaign comes as part of Renault Al Babtain’s mission to support its Premium European brand and honor its loyal customers and share with them the happy moments of the European team’s victory of FIFA World Cup, a memorable success in the European history. The campaign involved purchasing any of the new Renault vehicles in order to enter a draw that would grant each buyer the chance to win tickets and accommodation for two persons to Paris. Renault Al Babtain encourages Renault fans to stop by the showroom situated in Al Rai to own one of the dynamic models for themselves!